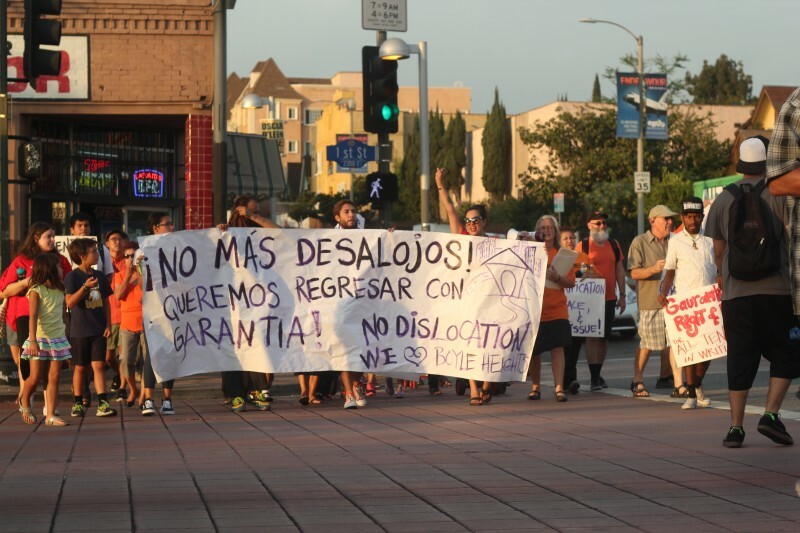 20 Boyle Heights families fight back against displacement and gentrification | Fight Back! Los Angeles, CA - Marching and chanting, “Vecinos unidos, jamas seran vencidos!” (Neighbors, united, will never be defeated), over 50 community members, families and activists gathered outside of five Boyle Heights homes, Sept. 9, to fight back against displacement and gentrification. 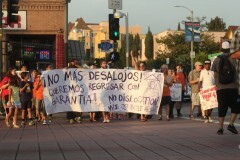 Boyle Heights families have been suffering displacement and evictions for many years. The community is also surrounded by freeways, rail yards and factories which cause pollution. These five buildings have been home to over 20 families, many of whom have lived here for decades. The 20 families also united to form their very own union as tenants; this union is called Primera Esperanza or First Hope, located in the heart of Boyle Heights off 1st and Soto Street – two of the busiest streets. The enemy to the 20 families is the East Los Angeles Community Corporation (ELACC) – which has served tenants with a 120-day eviction notice. ELACC has stated they will be building affordable housing buildings where the five homes stand, and will move in over 60 families in the place of these 20 families. 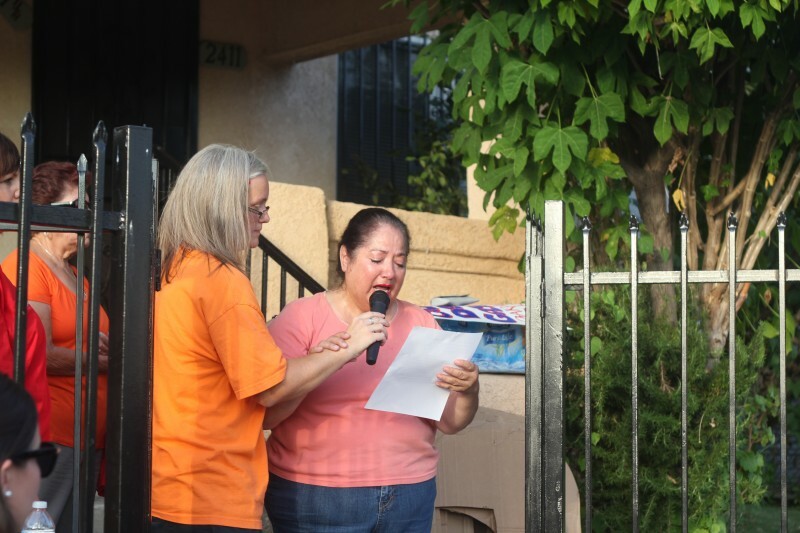 ELACC is dislocating existing families and removing rent control units from the community. Not guaranteed for the Boyle Heights families is a future place to live. Not guaranteed is the same price of rent, which for these families amounts to $450 to $500 per month. The affordable rent is one of the many reasons why these families have stayed and lived here for over ten years. And not guaranteed for these families is a prime location to numerous market places, laundromats and the public Metro station - all of which are within walking distance. Present at the rally, and the lead organizers to support Primera Esperanza, was Union de Vecinos, supported by the Los Angeles Tenants Union, Centro CSO, and various community members and allies.